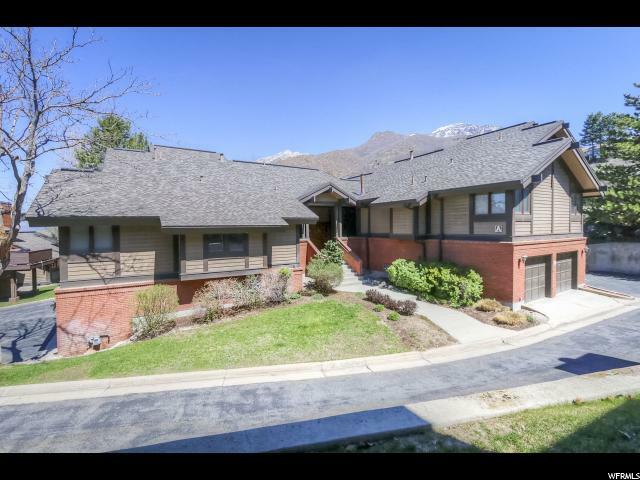 All CANYON RACQUET CLUB homes currently listed for sale in Cottonwood Heights as of 04/26/2019 are shown below. You can change the search criteria at any time by pressing the 'Change Search' button below. "Turn key condo! Updated and being sold fully furnish! Rare legal nightly rental unit licensed with Cottonwood Heights. Prime location mountain ski rental featuring vaulted ceilings and large windows for bright year round light. Updated full baths for two master suites. Two additional private rooms for dens or game rooms. Management company markets upstairs loft as a third bedroom. Prime destination ski rental at the base of Big Cottonwood Canyon with easy access to I-215 & I-15. Just minutes to Alta, Snowbird, Solitude and Brighton ski resorts. Walk to the UDOT ski bus, Pocupine Grill and Pub and full service ski rental shop. 20-25 Minutes to Park City, Deer Valley and Canyons Resorts. Nightly rental license is legal and transferable. No current reservations have been booked. Pets only allowed in full-time owner occupied units."